The Compact 33 was released in two formats, the Compact 33 single and the Compact 33 double. The Compact 33 double generally contains four tracks whereas the single contains two tracks like their 45 RPM counterpart. 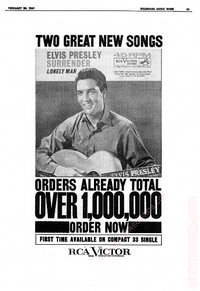 The RCA 37 prefix series, which likely means (by my own assertion) 33 speed 7 inch, is an example of the Compact 33 single format. Compact 33s are 7 inches in size and resemble the 45 RPM except that the hole is LP size.Some of these titles are difficult to obtain. This compilation of the Double Compact 33 Records is based on eBay auctions, price guides, and many search engines. 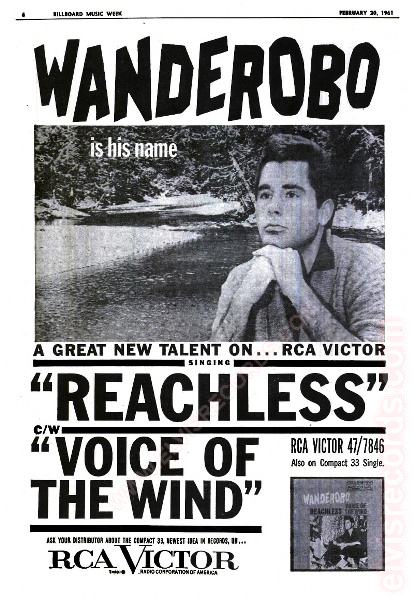 RCA Victor, 7846 Wanderobo - Reachless, Billboard Music Week. February 20, 1961, p. 06. 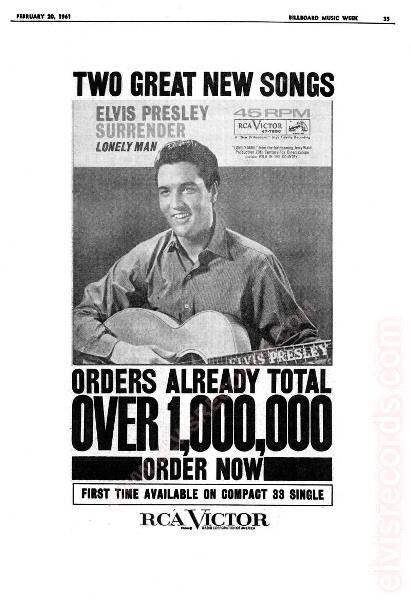 RCA Victor, 7850 Elvis Presley - Surrender, Billboard Music Week. February 20, 1961, p. 26. 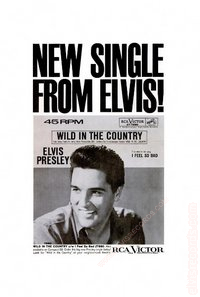 RCA Victor, 7853 Sam Cooke - That's It - I Quit - I'm Movin' On, Billboard Music Week. February 27, 1961, p. 26. RCA Victor, 7840 Floyd Cramer - On the Rebound, Billboard Music Week. February 27, 1961, p. 26. 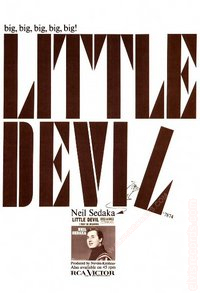 RCA Victor, 7874 Neil Sedaka - Little Devil, Billboard Music Week. 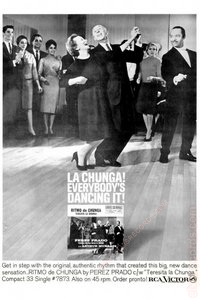 April 17, 1961, p. 17. RCA Victor, 7873 Perez Prado - Ritmo de Chunga, Billboard Music Week. May 1, 1961, p. 17. 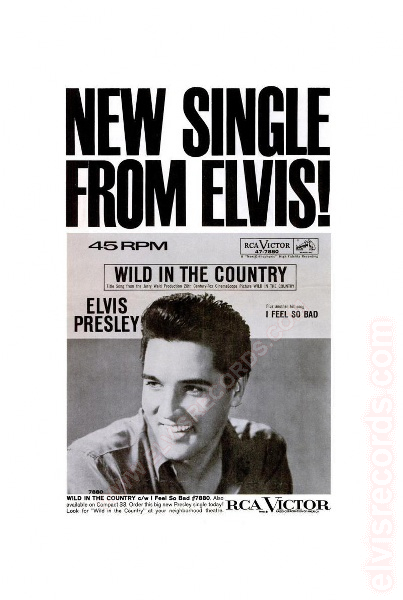 RCA Victor, 7880 Elvis Presley - Wild in the Country, Billboard Music Week. May 22, 1961, p. 17. 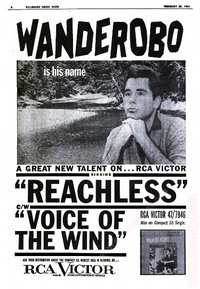 RCA Victor, 7894 Ann Margret - I Just Don't Understand, Billboard Music Week. June 2, 1961, p. 19. 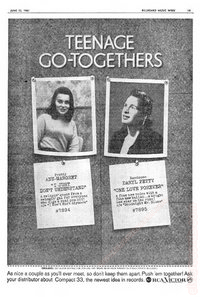 RCA Victor, 7895 Daryl Petty - One Love Forever, Billboard Music Week. June 2, 1961, p. 19. 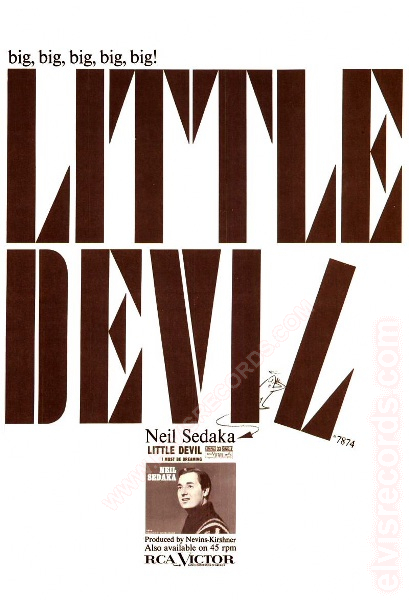 RCA Victor, 7874 Neil Sedaka - Little Devil, Billboard Music Week. June 26, 1961, p. 29. 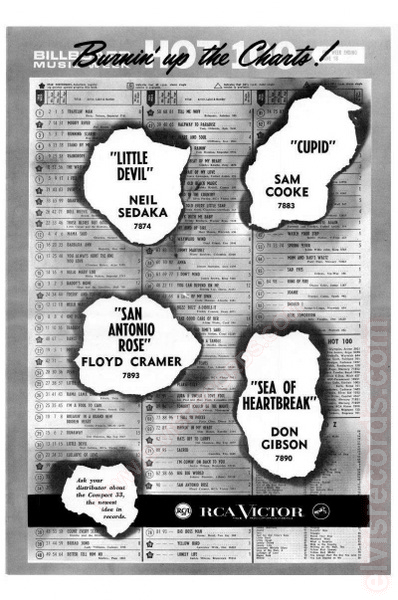 RCA Victor, 7883 Sam Cooke Cupid, Billboard Music Week. June 26, 1961, p. 29. 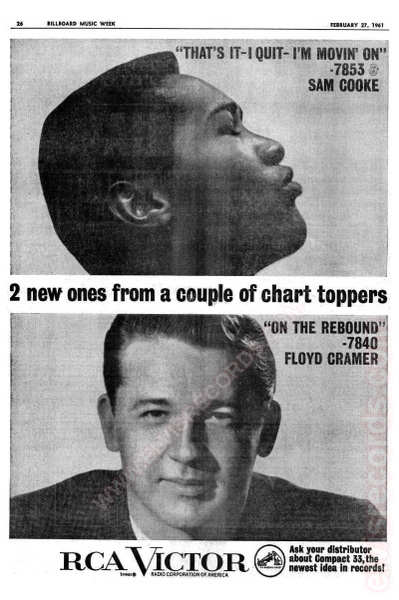 RCA Victor, 7893 Floyd Cramer - San Antonio Rose, Billboard Music Week. June 26, 1961, p. 29. RCA Victor, 7890 Don Gibson - Sea of Heartbreak, Billboard Music Week. June 26, 1961, p. 29. 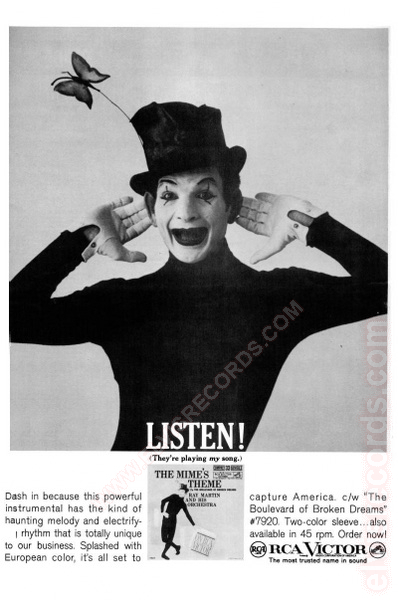 RCA Victor, 7920 Ray Martin and His Orchestra - The Mime's Theme, Billboard Music Week. July 31, 1961, p. 21. 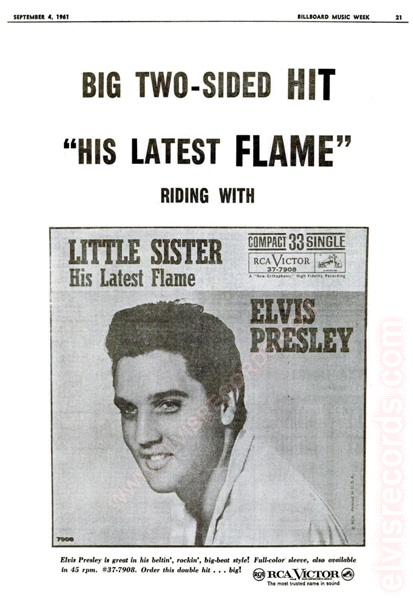 RCA Victor, 7908 Elvis Presley - His Latest Flame, Billboard Music Week. September 4, 1961, p. 21.